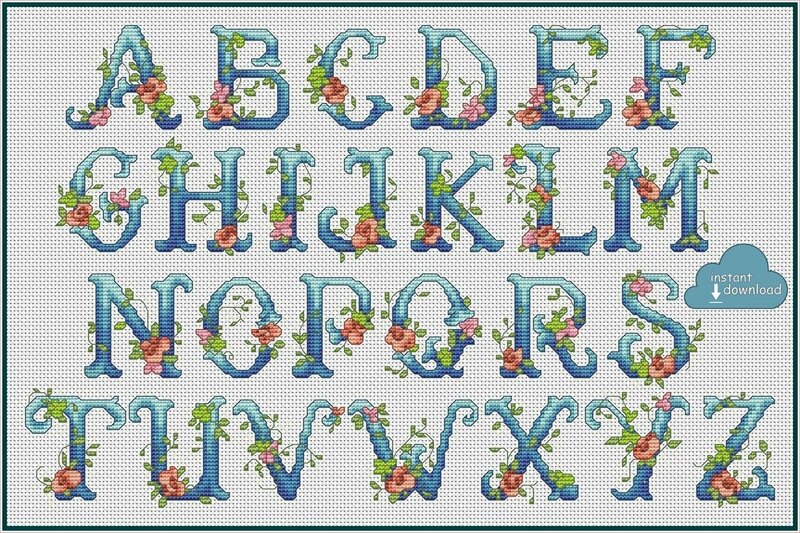 Floral Alphabet Monogram Cross Stitch Pattern PDF + XSD. Flowers ABC Cross Stitch Chart PDF. Instant Download. These bright floral letters are so joyful, vintage, romantic and of totally handmade look. You can pick up one letter and embroider it as a monogram in a nice frame, or choose two - for the initials, or even combine letters in a name – it’s all up to you! 5. Floss usage info (20% extra per color is calculated already).